Before we get onto the festivities, I wanted to thank you for coming and hanging out this week! It's been fun to get to know you all better and to see you get excited about these incredible companies that I am lucky enough to work with. I hope that sharing my history about them has been fun for you. While what I do really is hard work, I love doing it and find joy in working with them all SO very much! I have found that when I feel that genuine love for those I work with, The work that I do for them is SO much better! Thanks to all those companies for such generous support! And let me tell ya, I LOVE the random number picker! I couldn't have done any of this without that awesome website! 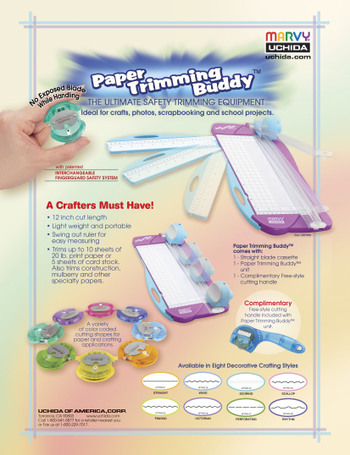 the first prize today is ANOTHER PAPER TRIMMING BUDDY! (by Marvy Uchida) With a full set of blades!!! Whoohoo!!!...... Ohhh...but I think you need some Stamps TOO! So with that will come two Images from Stamping Bella. I was able to chat with Emily several times before the Launch of her Fantastic website. She is a real sweetheart and those Bella's just rock don't they!! So, Sarah - surfs4@****** Enjoy the trimmer and Bella's! 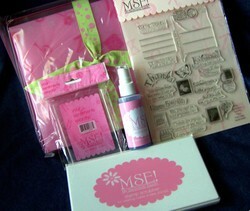 Now, The Grand Prize...But of course included is the much awaited NEW PAPERTREY ink stamp set! Let me tell you ladies, I LOVE working with Nichole Heady's images! It makes it even sweeter that I get to work closer with Nichole and the other incredibly talented ladies on the team! I was lucky enough to get one of Nichole's swap at the SU convention a few years back and dropped her a quick email to tell her how fantastic her work was and thanked her for the many times she inspired me. She literally was the first designer that I ever knew by name because of her incredible stamping skills. It makes it even more wonderful when you get to know her and realize how fantastic she is as a person. I am extremely grateful that I was invited to join her design team! The Newest, unreleased Papertrey Ink Stamp set, a Paper Trimming Buddy with a set of blades, a set of Puffy Velvet Markers, a Crop-a-dile and designer snaps!!! Congrats to Cathy Arnette, these are going to come your way! Oh but wait.... Yes, the big announcement? Yes, I almost forgot! We ALL love Marvy Uchida's scalloped punches....right? Well, Did you ever wish we had MORE of them? Maybe a rectangle? Hmmm....sound good? I was working for them at CHA and really begged for them to come out with MORE. They currently have 6 available. 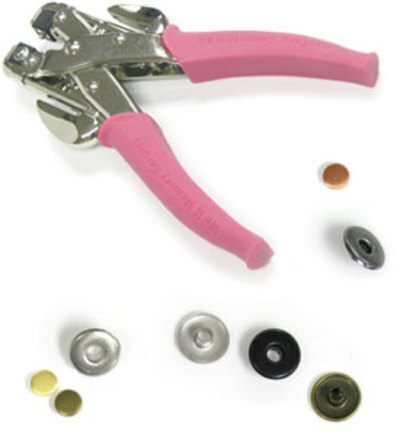 I am happy to announce that staring in may.....at least 9 additional scalloped punches will be available! 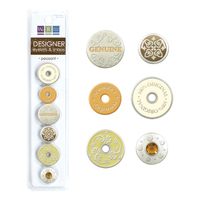 I am SO excited that I get to have these when they come out, BUT even more excited that they are going to send 15 scalloped punches to Lynn Brown -scrapperlynn@****** when they come in!!! Now ladies, I *think * you are the first to know so spread the word about what's coming from our friends at March Uchida! Thanks again for coming...PLEASE congratulate the winners on their fun prizes! I can't wait to see what they come up with using their fun new toys! Don't forget to email me your snail mail's Ladies! A Huge part of what I do is submit projects to publications in hopes that they will be published. This really helps the companies I work with showcase their cool products and from a consumers perspective I LOVE when I am enabled! It takes a really patient person to be an editor and I have thoroughly enjoyed getting to know those editors that I've gotten to work with. A Little bit about the submission process and Lisa Johnson. There are some SUPER talented people that will create a few cards and submit them and get them all picked up for publication. “I” am not one of those ladies. I typically, and this is on a good day, have about 5% of my projects accepted. So really, what you see in the pages is just the tip of the iceberg of what I've created. I am SO grateful for them and all they do! So, a few of the publications that I have been lucky enough to work with “flipped” at the chance to join in on the Par-TAY! 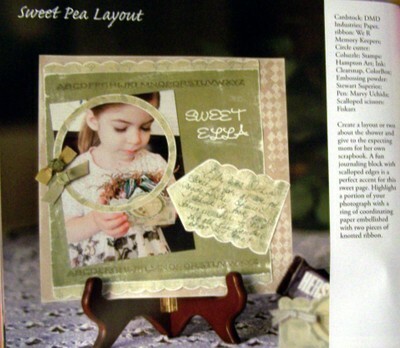 Scrapbook Trends branched out with several special idea books as well as two additional subscription idea books. Paper Trends and Cards. I have had a sprinkling of projects feature in these incredibly photographed books. Their so fun to work with and we always get this HUGE goodie box from them when our projects are returned so that we are up to date on the newest product! It's like Christmas I tell ya! The big winner today wins 4, yes 4 idea books from them. The newest issue of Cards, Paper Trends, Scrapbook trends and the TrendSetters book! Jessica (jessrose21), Come on down! Your the next contestant on the “Paige is Right”! Heehee! Take ten is a Stamper's delight filled with many of our favorite artists! I love working with them on little mini articles! I was lucky enough to meet Jami and here Husband at CHA! It was so cute, they both sat down and did a make and take at the Marvy Uchida booth with me! She is a DOLL and her DH was actually a pretty good crafter! Good choice Jami, the man can craft and play sports! Whoohooo! Jami graciously sent the newest copy of Take Ten for this lucky winner! pyng!!! DRG publishing is filled with warm people! It really shows in their publications too. 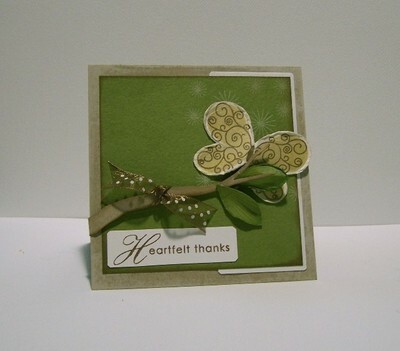 Tanya, the editor of CardMaker, is a total DOLL! She is itty bitty in size but packed full of fun and kindness. I had a blast meeting She and her assistant Editor, Sue, at CHA. They are so down to earth and I can't wait for the next time I get to visit with them. Paper Works is another DRG publication and they have a new Editor on board that I am enjoying getting to know... really Fab ladies! 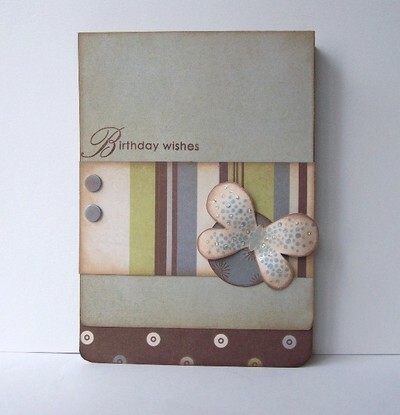 I have a Copy of Card Maker AND PaperWorks for Jodie - jodie-marie@*****!!! Last but never least is Paper Crafts. When I say that they Ladies at Paper Crafts have fun, that would be an understatement! These ladies are a hoot to say the least. They hold a special place in my heart because they were the first to publish my work. Little did I realize at the time that they were the hardest to get into, but trust me, I have since discovered it. 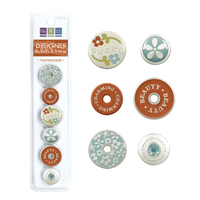 ;) They also have my All time favorite stamper as one of their Paper Crafts Pro's, Nichole Heady! They were wise to choose such an amazing artist to represent their magazine! It's through Paper Craft that I was able to meet Nichole face to face! I have the Newest special issue to give away, BABY CREATIONS! Annie - scrapbookpapers@**** this issue is for you! Well my Friends, Tomorrow is the Grand Finale! I have something HUGE up my sleeve for you! I appreciate the congratulations that you keep leaving for the other winners, I love sharing and am glad we are all sharing in their joy too! SO, Keep up the Congratulations and post them here for todays winners and you will be entered in to the grand FINALE!. And rest those voices up Ladies and gents.....tomorrow is gonna be a whoop fest for sure! I mean, a not yet released PAPERTREYink stamp set! OH Yeah BABY....now that's what I'm talkin' about! ETA: I want to give my email subscribers a chance to enter and unfortunately Feedblitz didn't catch my post in time for their nightly email. So with that in mind I decided to draw the winner tomorrow. Good luck all! Another ETA: Today, March 29th, is the day! Stay Tuned! This last year I searched out a few companies who's images appealed to me... each has a unique style and I love being able to work with a variety of images. Late last summer I started working with Hampton Art. I was so excited to get to know them and use their images...AND I was elated to learn that Limited Edition was part of the fun too! Part of what I have gotten to do with Hampton is Samples for their catalogs, idea sheets for retail stores as well as some of their online projects of the month! I have been really lucky to have several projects accepted for publication using their images and continue to do so. (Knock on wood) I was excited to meet the team face to face at CHA and look forward to working with them for years to come! (I gotta tell you...they have one GOOD LOOKIN' TEAM!) Hampton Art has sent me this fun stamp set and catalog to pass onto a winner. You will see samples from several designers that you know from online and let me tell you...they are ROCKIN'! Lisa K – lisa_keeffe@***** You win the Hampton Art/ Limited Edition Prize! Zero to Hero....(Love that song! Again...too much Disney LOL!) Now...who doesn't LOVE Hero Arts fantastic images? * sigh * I love their fresh yet warm feel. I have had a little bit of an opportunity to work with Hero Arts. You will see an upcoming feature in Paper Crafts Magazine where I have written a tutorial on a brand new stamping technique! Man....gotta tell you, thats a hard one to keep in...it's SO exciting! I love how it turned out and how their images were highlighted in this feature! They are a warm and caring company and I have thoroughly enjoyed getting to know them better. Hero Arts sent this PAISLEY set!!! Gotta love that! And the winner is! Only a few more days of partying ladies! Post a comment here congratulating these fun winners and you will be entered into the PUBLICATIONS giveaway....Yes, whether it be Paper Trends, Cards, Paper Crafts or Stampington....I will have several copies and Idea books to give away tomorrow. And don't forget to come back after that for the GRAND FINALE (Hmm....can you say PAPERTREY?) as well as a HUGE ANNOUNCEMENT! WHOOHOOO!! Rollin', Rollin', Rollin in the INK!!! I was introduced to Clearsnap through a friend when she took a trip to a local island city and visited “Dewey, Inkum & Howe”. She brought me back this cool foam that you can manipulate with heat and rubber stamps(Majic Stamp). I stored it for a while then pulled it out for a publication call where I used it to make some fun tags (Stamp It Spring 06) Later I received some of their ink and totally fell in love with them.... Fluid Chalk Inks baby! They are my favorite by far because of their flat solid finish that dries fast! Through the last year I have been able to get to know a few of the Ladies over at Clearsnap and they are a HOOT! The other fun fact is that they are local, an hour away! I haven't gotten a chance to visit yet but will soon. Thanks to them for joining in on the festivities! The team at Clearsnap rolled out the red carpet for our party today. Get it ROLL....Heehee! And todays Big winner gets THIS!!! Melissa....melissakulesa@*****...Your's the big winner today! And the PAR-TAY continues...I mean unless your tired of all the schtuff!? Hmmm....who shall we introduce next? Ahhh....I think it's about time we break out some Stamps! Don't you!!! Again...post a comment congratulating these fun winners here to enter to win a fun Set from Hampton Art/Limited Edition, Hero Arts and My Sentiments Exactly! we will draw a winner on Monday. We Are in LOVE with We R! Yes...I know I'm a real Corn dog...but its true! We LOVE THEIR PRODUCTS! BIG thanks to We R Memory keepers for participating in the big party!!! Fast forward 6 month....So I receive inspiration for a new product line and deiced to get up the gumption to propose it to someone. I went to go pick up the phone to call one company but always got a “stuper of thought” when I would try to think of what to say....and WeR kept popping into my head. So I got brave one day and gave them a call. After chatting and a few emails I was able to arrange some face time with the CEO and the team while I was in SLC for the Stampin' Up convention. I arrive in SLC in the mid morning and get my prospectus ready along with samples for my presentation...I arrive at WeR feeling ready....Hair back, not too over or under dressed and my “Breathe Leese, it's OK” attitude in check. I was greeted and brought into the conference room. It was right then and there that I had a big decision to make...Why you ask? Well...I look up....WAY up...at this pleasant guy....you know...tall guy from the linen album wall?! YIKES! There in front of me was the Andrew...CEO (who apparently has a secret identity as sales person). And yes...he DID remember me. *blush* Well....I decided to do the only logical thing...I embraced my DORKDOM! I proceeded though the presentation as if we were all old friends...I mean, they already knew I was a dork so what did I have to lose! LOL. He, Kevin and Shannon were all fantastic and it was a lot of fun! Needless to say....things are in the works and product development is a total different world... and Kevin (Aka, Da Man) is patient with me as I learn. Shannon is over the Design team and decided to put me to work a few months later. I can't tell you how fantastic it is to work with We R and that I get to make them “Home”! Thanks We Memory Keepers. As far as when the big reveal is...well....think of it as a pregnancy...it's in progress and the delivery will happen when it happens. LOL! the following winners win two sets of Designer snaps and eyelets! YAHOOOO!!! All you ladies need to email me your snail mail! SO FUN! And again.....Leave a comment to this post Congratulating these ladies and tomorrow you could Be rolling in the Ink as we open the door to CLEARSNAP to join in!!! ETA: Don't forget to enter by posting to win!....there will be more than one winner...depending on how many people enter! I feel really blessed to work with Marvy Uchida! 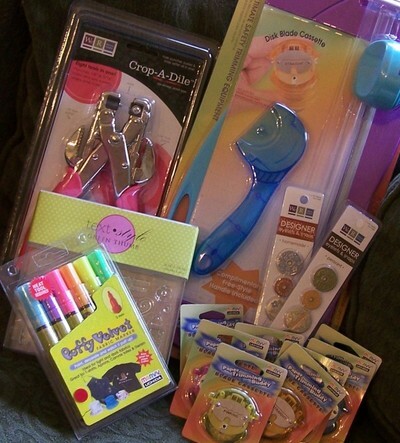 they have several staple items for many crafters! 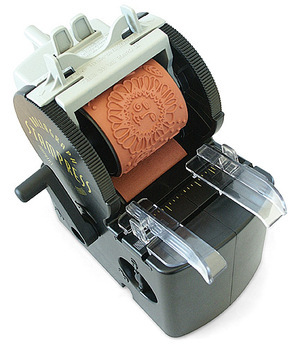 As manufacturers of punches, markers, ink, crimpers and paper trimmers etc...they are a Stampers' dream! I started working with their fantastic team in Nov. 2005 and throughly enjoy it. I LOVE that I have been able to do some Ad work for them...such a thrill! And for those of you who attended CHA, you may have spied me over at the Marvy booth teaching a bunch of attendees how to use some of our favorite Marvy products! WHAT A BLAST! I WILL be in Chicago with them again this summer! Marvy jumped at the chance to start this party off and looky what they are sending to these 5 lucky subscribers! 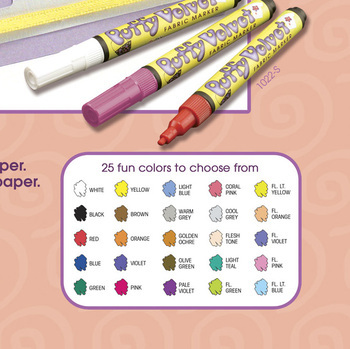 each of the following winners will get a set of these fun new pens! WHOOHOOOOO!!!! Ohhh....yes....I almost forgot the linked winner! Hmmmm...where did I put that?.......OH YES..... There it is! I wonder who gets THIS? Lexi Daly... that's who!!! YIPEEE!!! YES...ALL THIS! The Paper Trimming Buddy, blades and handle! 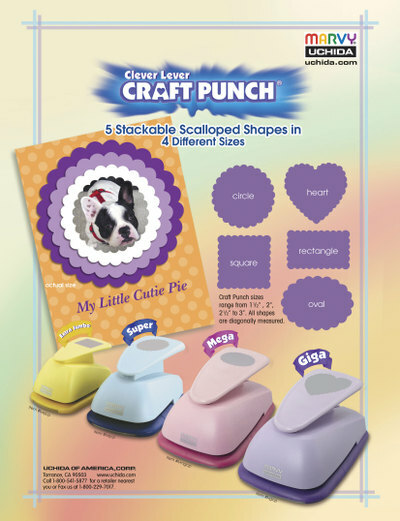 now you can cut scalloped lines...no scissors! If you ladies could email me with your snail mail....that would be great! Post a big congrats to these 6 ladies to THIS post and tomorrow evening I will (randomly) pick another WINNER as we welcome......We R Memory Keepers to the PARTAY! Snap to it ladies and gents....It's gonna be CROP-A-TASTIC!!!! heeheee. I know by now you might be a little curious as to whats going on here at Poppy Paperie. Well... here's the scoop! About a year ago I was feeling like I wanted a place where I could Journal my thoughts and share some of what was going in in my life, my family's life and my work. a place I could "let it all hang out" so to speak...safe in a way I guess. not that post boards and yahoo groups aren't safe...Its more of how you feel safe in your own home kind of safe...you know...where you can sit in your Pj's all day with your hair in a wanna-be ponytail, no make-up and watch movies kinda safe! This blog was my answer! What this means...Well, when I see this I think of that scene from "A Bugs Life"! You know the one where they realize the strength that comes when they act as a community ...you knoooow...when they stand up to Hopper!!! (thinking that I watch WAY too much Disney all of a sudden!) Anyway... I think thats why I love stats...it isn't just numbers, it represents something, usually significant...and to me these numbers represent a really big community that I feel really blessed to be a part of. So Thank you...for listening to my ramblings and taking the time to share a part of you with me! SOOooooo...as a thank you...in celebration of my first blogging anniversary I wanted to throw YOU a PARTY!!! As you may know, I am blessed to be working with some really incredible companies and publications....well...they want to join the party too! TOMORROW I will be drawing the names for the 1st round of prizes from the email subscribers and those who posted that they link here. The first Party Favors will be from MARVY UCHIDA!!! And...they are VERY generous...so the more that entered the more prizes I get to send your way! (so telling your friends just increases your chances to win!) I will share some of my Marvy Uchida experience with you tomorrow when I announce the winners. SO let the PART-AY begin! ETA: feel free to subscribe anonymously, however...I wouldn't know who was who if one of you were to be chosen as one of the winners. Also...the prizes will be for subscribers, old and new together. Just wondering. It would be neat to visit your Blog and see all of the neat things you are up to! Plus you never know when something fun will happen for someone who is linking here ;) If you do link here will you leave me a link to your blog !? We are in the pink. "Zero to Hero in no time flat"
Ohhh.... I am GIDDY thinking about the fun we are gonna have! I cant wait! any clue what we will be celebrating? Well, if you haven't gotten a chance to head over to Papertrey Ink... better run! Butterfly Kisses is such a blast to use and I'm really looking forward to seeing what you all come up with using this awesome set! Here are some more of my cards from my assignment! and if you didn't know already the amazing stamper Ellen Hutson has hopped onto the Ink pad and created some amazing beauties! Ohhh and Amy's set finally arrived and let me tell ya... it was WELL worth the wait! Now.. off to rest. It seems that a little flu bug has decided to take up residence in my tummy. 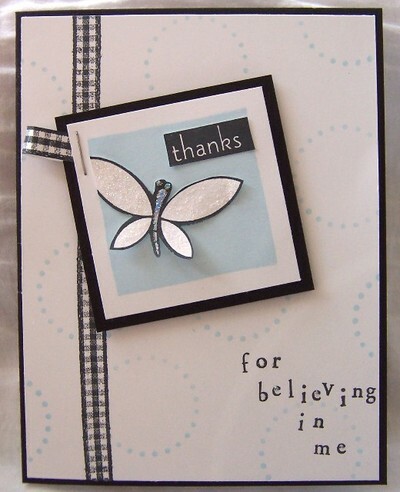 Here is the card that I created from the inspiration of that lovely butterfly that I snapped the pic of. I attempted to recreate the inspiring scene that I stumbled across while visiting the St. Louis Zoo. Now that Papertrey ink's newest set has been released I get to share it with you! Make sure to check out the Ink Pad gallery to see some breathtaking samples of this set! I know I left a lot of white space in this photo... I am big on standing back to get the feel of the project to see if it is "working". SO I snapped this for that same perspective. I used the new Butterfly Kisses stamp set by Paper Trey Ink, Cardstock by Prism...such nice colors!.. and ink by Stewart Superior. 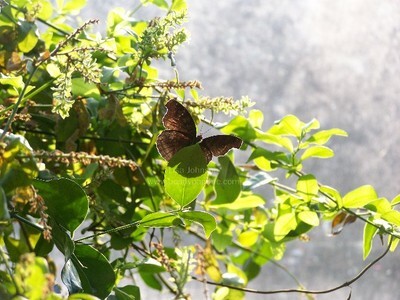 The leaves are made from the stripped butterfly's larges wing image. You may have noticed the use of a white layer and the white images. my hope was to imitate the bright white sunlight in the photo. OK... While your here... take the time to sign up for email updates through feedblitz. Trust me... you WILL want to do this. Pretend that I will be hosting hundreds of dollars in product giveaways next week and the first prize will be randomly drawn from the list of my subscribers. Ok... no need to pretend... it's gonna happen! I am deep in the trows of organizing the details... so watch for the first prize and the big announcement sometime next week. So sign up if you haven't already... it's gonna be fun! Party Time idea book sneak peek! I used Hampton Art and Limited Edition Stamps, We R Memory Keepers Papers and ribbon and Clearsnap Ink. Make sure to check out this fun idea book to see the entire ensemble... its really a fantastic book! Yesterday we went to the St. Louis Zoo. It was great. I have to admit, I am always looking for inspiration when I go new places...maybe the rocks are a different color or the green in the leaves is different. Well...while at the zoo I spied something that made my heart swell! I love things that have a translucency to them...especially when sunshine can show through them some how. I struggle with crisp and clean. in general...lif that is... I am a clutter bug. That most defiantly flows into my work. I must admit though that some of my best projects result from my mistakes. You see... I never can just give up when I mess up. I tweak it and try to "fix" it. So a card like this is rare for me. Simple, fast, easy and no major flubs. (if ya see one, I don't wanna know! LOL!) 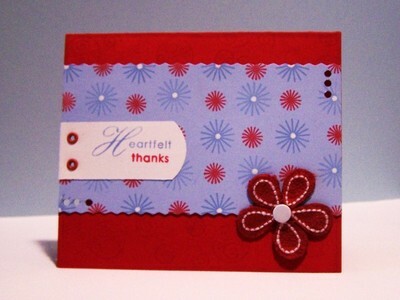 This card was recently published in Paper Made Easy and Crafts-n- things. I used that same circle as was used on the St. Patty's day card. this time...just as a simple BG. All the images are by Hero Arts. (wouldn't they be fun to design for! *sigh* ) look how good that ice blue fluid chalk ink looks! I love the contrast of the flat finish against the bold black! Clearsnap really has a fantastic product. I have to admit though... I have recently tried Stewart superiors chalk ink and I really like it too... and they have different colors. Really fun stuff. On a personal note... St. Louis is great! We came in on Sat. night and hung out with my BIL and his family... then the Boys (that would be Chris and 2 of his younger brothers) Packed up for a fishing trip. They left early Sunday morning and will be back late tonight. We went to Church and then had a great roast dinner. I was then schooled in the art of Domino play. Its more interesting than I thought...might have to get a set for home. My SIL had to fly out early this morning because her dad is having open heart surgery, (It wasn't planned until last week.) So I am really glad I am here to help with her kids. they have 4 too... so I am playing morning mom to all 8! Heehee! The are great kids and its not hard at all. Plus my girls are being extra good. Its super to be able to spend some quality one on one time with my niece and 3 nephews. man, boys are COOL! different, but cool. We have a pretty huge week planned...the Zoo... maybe a science museum... possibly a trip to Navoo. it's nice to have a change of scenery with the girls! I thought it would be fun to share a St. Patrick's day card that I threw together. I enjoy highlighting words on cards in different ways. 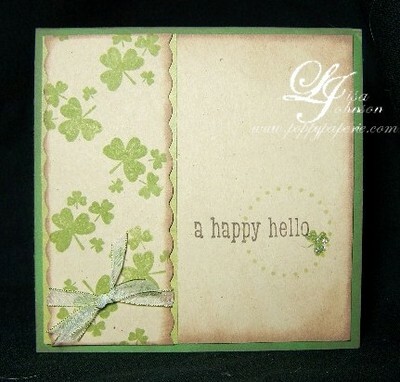 On this card you will notice that I used the circle image to pull your eye to the "Hello" portion of the sentiment adding the clover within the circle to cement the St. Patrick's day! I used Hero arts images with this card. Have you checked out their new images for this year? Holy Moly... they have some AWESOME ones! their new clear sets are SUPER fun too. today I am busy finishing up last minute stuff for our trip to St. Louis! We are so excited to be able to visit family, it's been SO long! Of course my laptop will be at my side since there are too many balls in the air to let drop if I dont...so I will try to post photos of some things I have saves up while I am gone!